- "This weekly newsletter offers news about web browsers and their standards, gives an overview of the browsers and their futures, helps you find browsers both old and new, presents design resources, and reports Internet statistics." 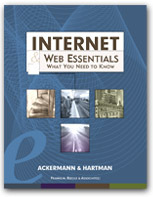 - An attractive, functional, and step-by-step guide to using a browser for getting around the Web. Other tutorials available too. Check this one out. - The category in the Open Directory dealing with Web Browsers.